50 Cent is looking to get G-Unit back together, this time for a potential concert. Reports claim that 50 will have G-Unit joining him on the road when he starts up his Get Rich or Die Tryin’ international tour. The group also released their debut album, ‘Beg for Mercy‘, 15 years ago and went on to sell over 4 million copies worldwide. 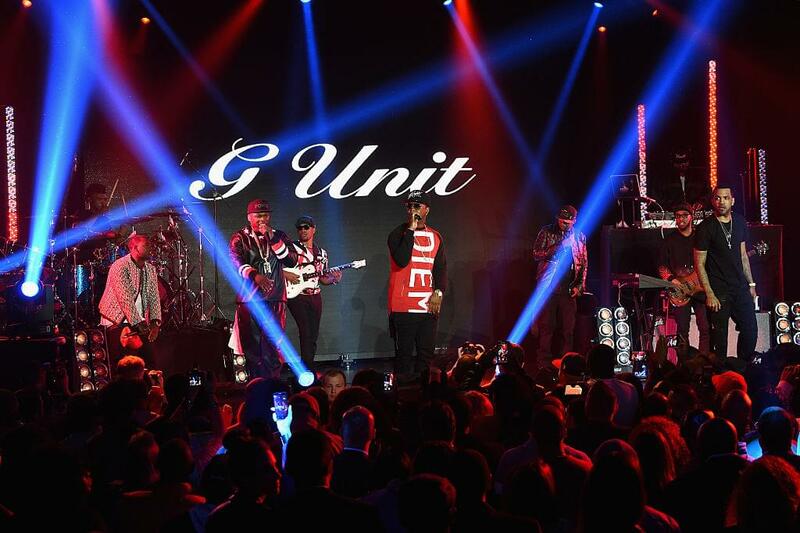 In 2003 they inspired the hugely popular and successful G-Unit clothing brand. The group has also founded a public foundation that provides grants to non-profit organizations to focus on improving the quality of life for low-income communities. The tour is set to kick off at the Arena Birmingham on September 18, before heading to The O2 Arena on September 20 and ending it at the Manchester Arena on September 21.